The U.N Conference on Trade and Development (UNCTAD) published a report earlier on this month on the possible effects that could come along if the US-China trade wars don’t come to an end by March 1st. The report acknowledges that as much as some countries may experience some growth in their export business, there is a high possibility that negative global effects would ensue. The US-China trade wars began last year and since then, things have only been getting worse. 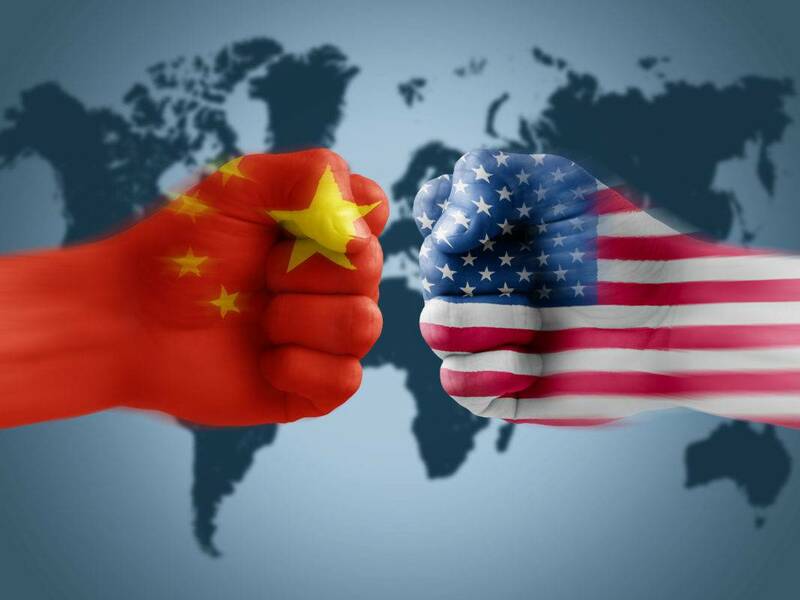 The escalating situation between the two global economic giants saw the US slap a 10% tariff increase on an estimated $200 billion worth of China imports. The US further threatened to push their tariffs on China to 25% by January. However, there was a brief reprieve as the two countries agreed not to increase the tariffs until March 1st as they are still locked down in talks as they seek to find a common ground that would harmonize their trade relations. The global economy is still considered frail in the face of the US-China trade differences, the UN report said. If the two biggest world economies keep raising tariffs on each other, an economic upheaval would be unavoidable. According to the UNCTAD report, financial, commodity and currency markets would be disrupted. Some of the major possible risks outlined by the report included the current trade war developing into currency wars, making it harder to pay off dollar-denominated debts. Further to that, the report warned that more countries would be tempted to adopt protectionism tendencies through policies, turning the current trade wars between the two economies into a global affair. A currency war happens when countries intentionally decide to diminish the value of their domestic currencies with the intent of economic stimulation for their own benefit. Writers of the UN report indicated the development of protectionist policies is detrimental to weaker economies; they are likely to be the most affected. Whereas the retaliatory trade jabs between the two world’s giant economies would have an effect that ripples beyond their domestic markets. An increase in tariffs would do more than just punish people assembling the product; it would adversely affect the supply chain involved as well, the UN report said. The East Asian value chain would be immensely disturbed by the Chinese exports, which continue to be affected by the heightened tariffs. The UNCTAD believes that the contraction would at least be $ 160 billion. There is a total of 250 billion dollars worth of Chinese exports that are being affected by the US tariffs in place. The study estimated that 12 % of these exports would remain in China. Firms from other countries would take advantage and export an estimated 82%, while 6% would still end up in the US. On the other hand, US exports subjected to the Chinese tariffs would also be distributed in various ways. With the US companies retaining around 10%, 85% would end up in different markets outside the US. 5% would still end up in China. Some countries would benefit from this, mainly those with a strong enough economic capacity to replace both the US and Chinese companies. The US-China bilateral trade would lose out about $ 70 billion to the European Union. Mexico, Japan, and Canada could benefit from an enormous gain of around $ 20 billion each. However, the countries that would be expected to capitalize on the gains in terms of exports include Brazil, Australia, and India. Pamela Coke Hamilton, the head of UNACTAD’s international trade division, said that since US and China have the biggest economies, the tariffs imposed on each other would cause the kind of effect that would easily be felt across the international trade. She further stated that bilateral tariffs should not be expected to effectively protect domestic companies; nonetheless, they are capable instruments when it comes to curtailing trade from the country they are meant for. What would happen is that if the tariffs continue to be used and increased, making the US-China trade wars worse, the bilateral trade would not only decline but also be replaced by the trade emanating from other nations.